Home » comic news » Miles Morales Confirmed As New Avenger Line Up Revealed! News broke this morning over at wired.com that the last member or Mark Waid’s “All-New, All Different” Avengers team is none other than Ultimate Spider-Man, Miles Morales! Spinning out of Marvels latest Summer Event, “Secret Wars”, it would seem that the Ultimate Universe’s time is up. Whether this is a cause for celebration for fans or not is anyone’s guess, but wih 2 Spider-Men running around, there’s more than enough to keep everyone happy. This isn’t the only shake up with the series, with the final member being of African American decent, there is now an Avengers where there is only one white, male member (assuming it’s Tony in the Iron Man suit), just going to show that Marvel really does seem to listen to the fans and has taken a step in the right direction towards a true representation of society. 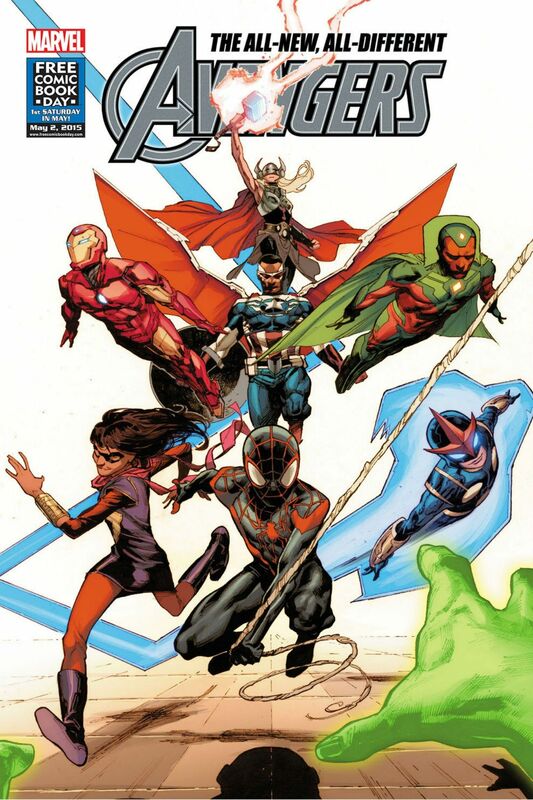 This also marks one of the youngest Avengers teams that isn’t labeled as such, with 3 members (Spidey, Nova and Ms.Marvel) all being teenagers, possibly a way to get younger readers on board with a more adult book? Safe to say this is a massive change from the House of Ideas and whether it sticks around for a while or not is definitely a good thing for the industry as a whole. Let us know what you think in the comments below or on the Facebook page, will you be picking the series up or do you just see it as another marketing ploy?